The pools and match schedules are announced for the HSBC World Rugby Sevens Series opener for both men and women in Dubai. 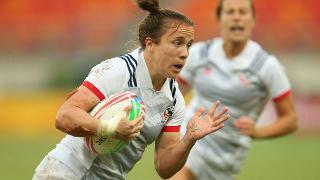 Nine months out from rugby sevens' debut at the Rio 2016 Olympic Games the pools and match schedule have been announced for the opening round of the new HSBC World Rugby Sevens Series, for both men and women, in Dubai on 3-5 December 2015. With global excitement building ahead of sevens’ biggest season, the world’s top players representing 28 national teams will compete at the Emirates Airline Dubai Rugby Sevens. The 12-team women's tournament will be played on 3-4 December and the 16-team men's event on 4-5 December. In the men's competition reigning series champions Fiji head pool A and kick off proceedings against Canada with further ties against Japan and Argentina, while Dubai's defending champions and the series’ second ranked side last season, the Blitzboks of South Africa, start in pool B against Scotland, Samoa and newly-promoted core team Russia. Twelve-time series champions New Zealand face matches against USA, who are the most recent cup winners at the 2014-15 series finale in London, as well as France and Portugal in pool C, while in pool D the fourth-ranked side in last year's series England line up against Australia, Wales and Kenya. In the women's draw, New Zealand will kick off both their series and Dubai title defences against France, Russia and Brazil in pool A. Rivals Canada and USA meet in pool B alsongside Fiji and Ireland while Australia are the top seed in pool C and face England, Spain and series newcomers Japan. World Rugby Chairman Bernard Lapasset, said: “These are exciting and ground-breaking times for rugby sevens as we head into an Olympic Games year and the opportunity for our top men’s and women’s players to showcase their talents to new audiences on sport’s greatest stage.